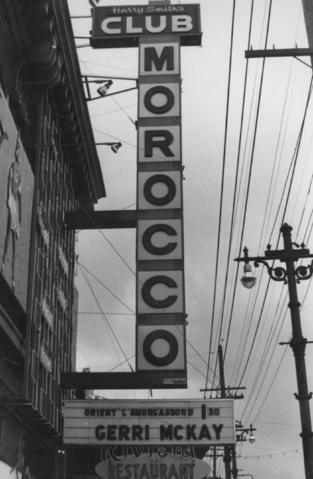 Photograph shows sign for Club Morocco. Date of photograph is uncertain, [196-? ].